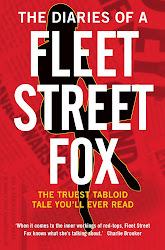 fleet street fox: WARNING: Graphic images. REUTERS tonight filed pictures reportedly from the raid on Osama Bin Laden's compound in Abbottabad, and within an hour the page had either crashed from or was taken down. Luckily I managed to grab them. So if you click on the link below you will go through to my Twitpic feed where there are pictures we are told were taken in the hours after the raid - the unusual rotor section of the destroyed US helicopter, which has caused a lot of comment, and three very dead men none of whom, I'm afraid, are the world's No1 Wanted Terrorist. The pictures were apparently sold to Reuters by a Pakistani security official who got into the house - presumably after Bin Laden's body had been taken away by the US Navy SEALS. If you're of a sensitive disposition don't click on this.